We had a rather dismal effort on Monday, cashing just one winner from four races that we handicapped and touted. Sorry. Hope to do better — starting on Wednesday. Have to gear up for a huge weekend at The Spa. We are holding steady with a 37% win ratio with our top pick for the year, though, and that is after we have handicapped and wrote about 1,215 races this year. And, we are gearing up for a return to a couple of our most favorite racetracks in the world in the next few weeks — when Thoroughbred racing action returns to Churchill Downs in September, and, then, the grand Keeneland in October. 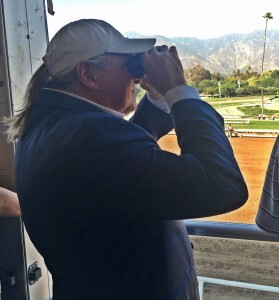 Looking forward to those two meets, where we will once again be providing full race card analysis and handicapping information and intel. “We classified her as one of the best in the barn,” Amoss said by phone from New York after Serengeti Empress’ 13 1/2-length laugher over the late-running Include Edition in the $75,000 Ellis Park Debutante. “A big disappointment at Saratoga when Castellano dropped the stick on her and just quit riding her. I’ve never figured out what went wrong in that race. But she came back to show what she was today.